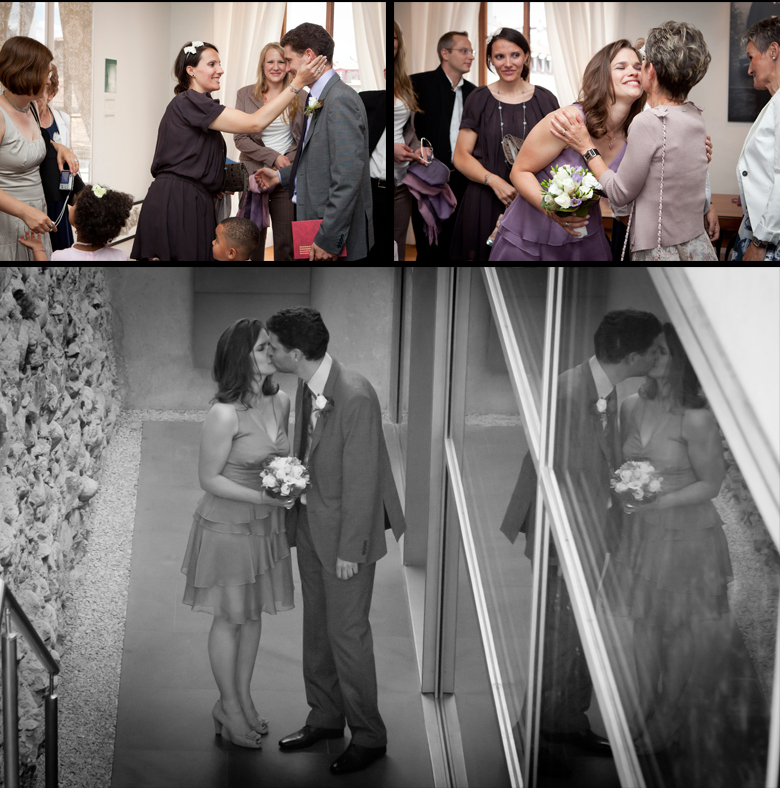 silversatsuma wedding photography: A civil ceremony. 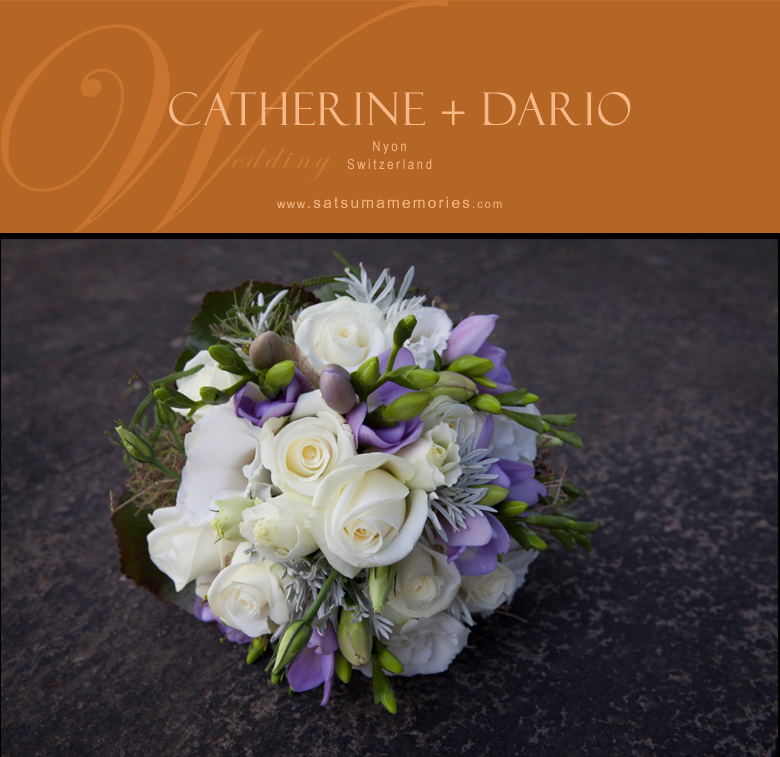 Catherine and Dario are one of those couples that you instantly warm to. They are so kind, friendly and of course totally in love. 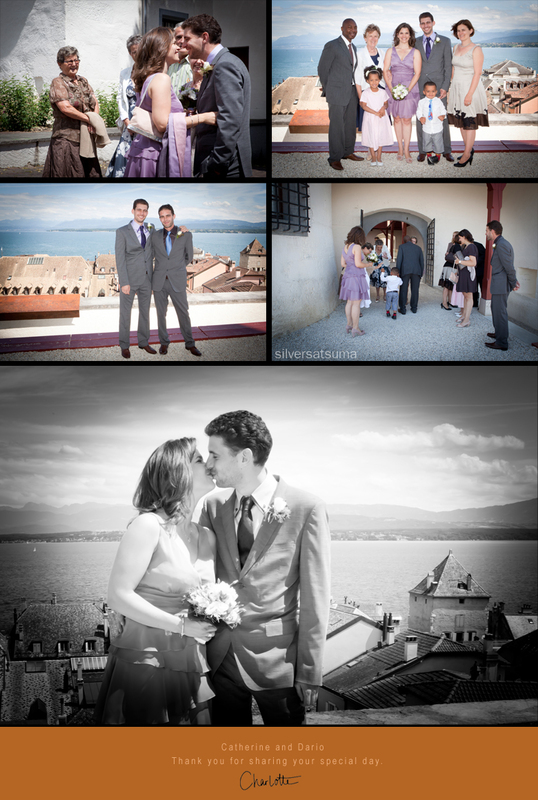 Although they are getting married in September, they asked me to be present to photograph their civil ceremony at the Château de Nyon on Friday. I was of course delighted to accept such a kind invitation. 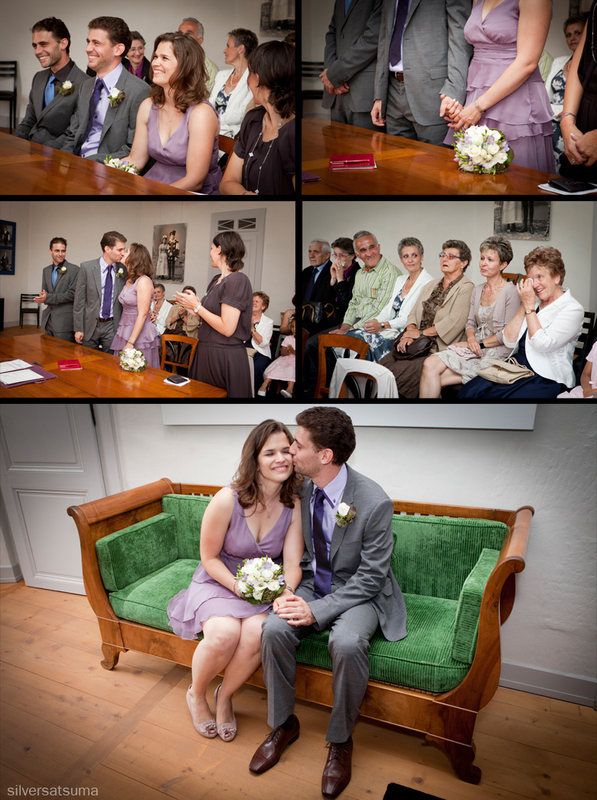 It was an intimate affair with only close family and friends present, full of smiles and even a few tears ! 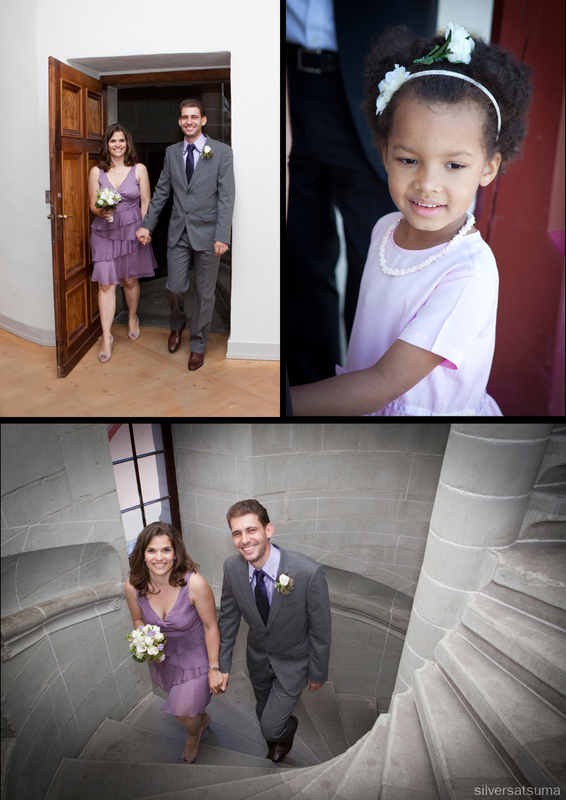 Purple (which I have a suspicion is Catherine's favourite colour) was the order of the day and Catherine and Dario's outfits complemented each other perfectly, topped off by a beautiful posy of flowers given to the bride-to-be by Fabio (Dario's brother) as a present.